Please see the ‘Related Products’ section below for more important links. 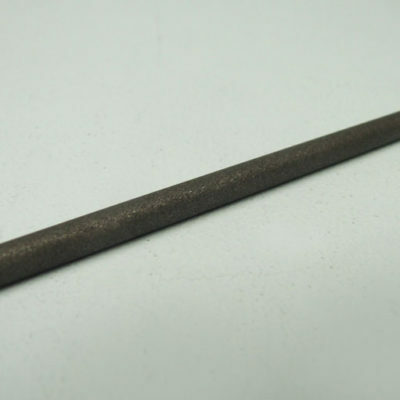 To make rose gold plating solution you need to mix it with our K-Gold Brush Plating Solution. 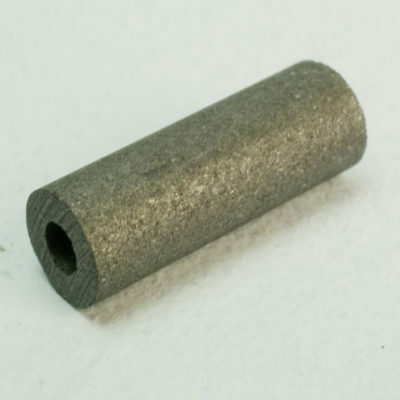 If using a Carbon Electrode use at 3 volts. 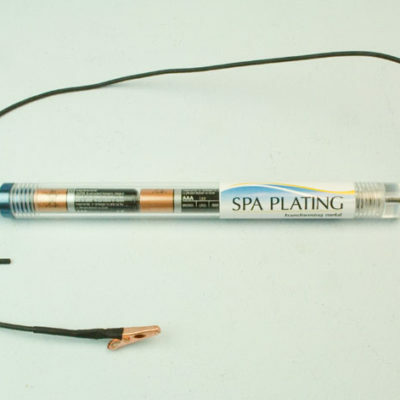 If you’d like the convenience of a pre-mixed rose gold solution, please see our Rose Gold Brush Plating Solution in our Plating Solutions; Precious Metals section of our main shop. 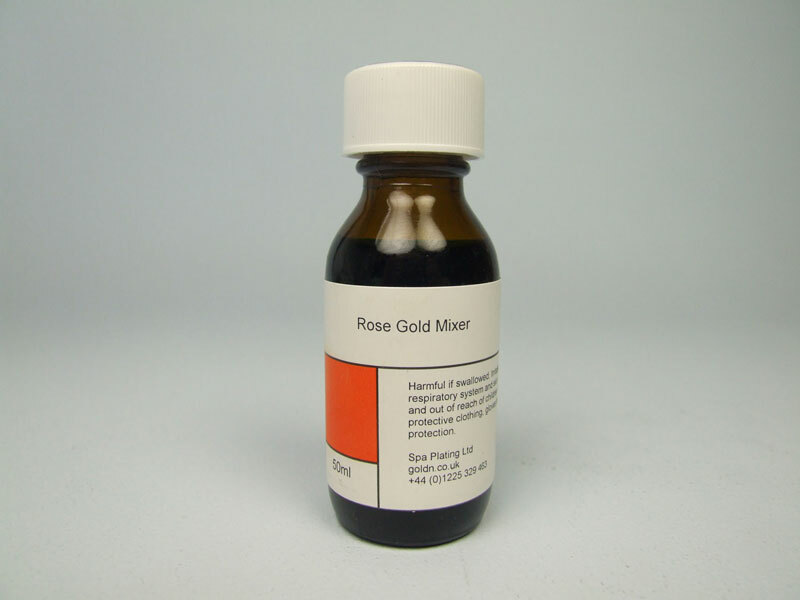 Once you’ve mixed your rose gold solution, use it withing 1 hour. 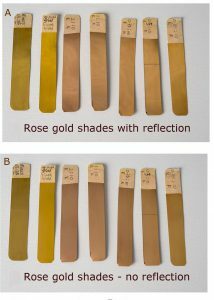 This shows two versions (A and B) of the same set of rose gold swatches. 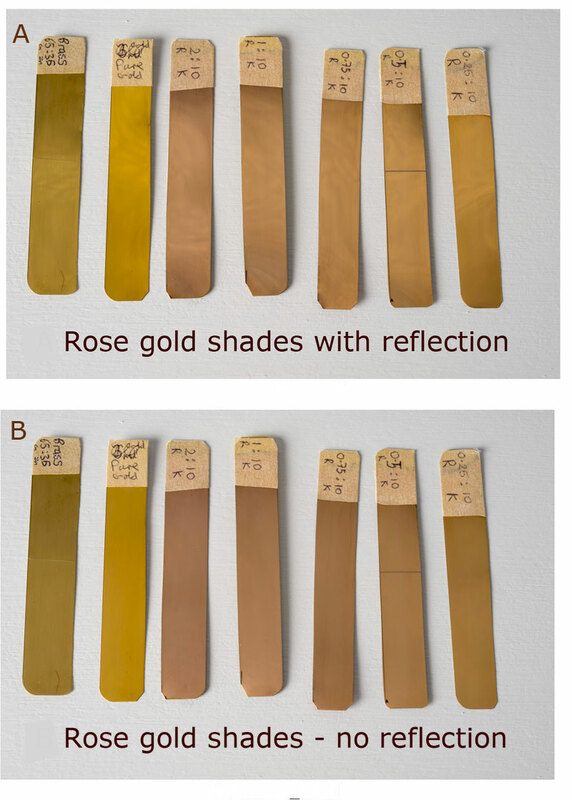 The swatches in version A were photographed using a reflector to give an impression of how the different shades of rose gold will look under normal lighting conditions. Version B of the same set of swatches was photographed without any reflection to show clearly the differences in shades between the different additions of Rose Gold Mixer versus K-Gold. The incremental additions of Rose Gold Mixer to K-Gold started from a ratio of 0.25ml of Rose Gold to 10ml of K-Gold going up to 2.00ml of Rose Gold Mixer to 10ml of K-Gold. It’s very useful to prepare these strips, as you can provide your customers with exact matches of plate. You can use either our brush plating or our pen plating equipment to rose gold plate using our rose gold mixer system. 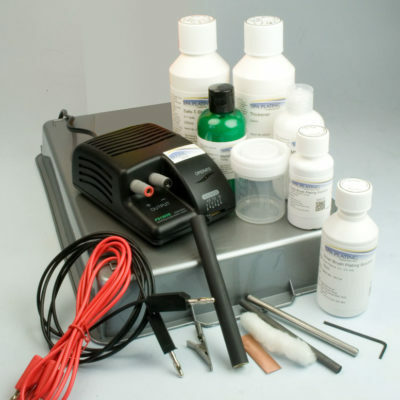 For guidance on how to prepare rose gold plating solution using our mixing techniques, please click HERE for an illustrated guide in our Electroplating Manual. Rose gold plate is very hard compared to pure gold. 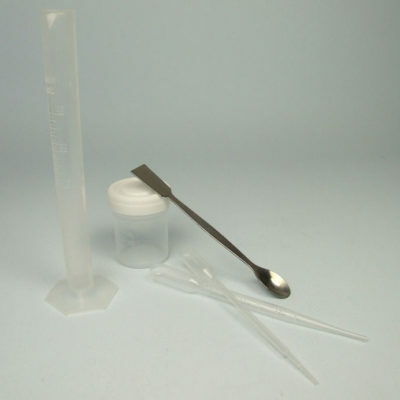 Great for plating items subject to a high-wear environment (jewellery). Plates fast. Reduces plating time. When mixed with K-Gold, creates the classic warm tones of rose gold. 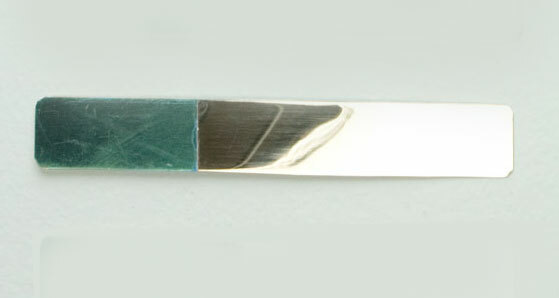 Selective plating of a range of personal items for example jewellery and watch cases and straps. 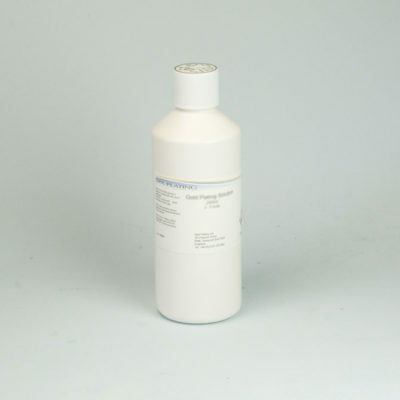 Can be used on larger items such as silverware and picture frames. 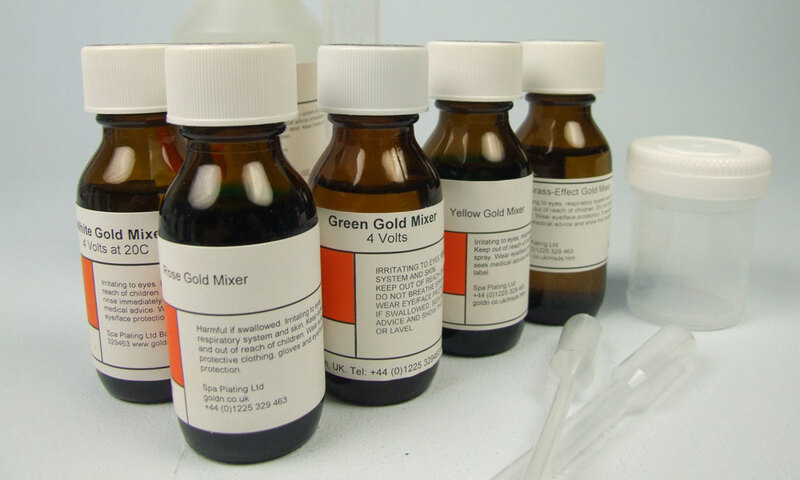 Redder deposits can be obtained by increasing the volume of mixer. Greater flexibility in colour matching. Consistency of alloy throughout process sequence. 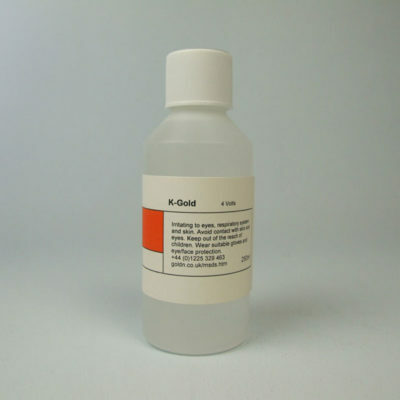 Very useful especially when plating large work or plating to higher thickness: the shade of gold plated doesn’t change. 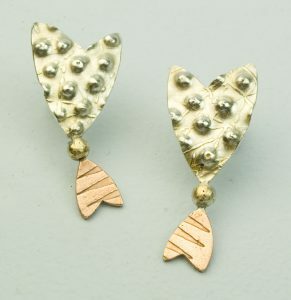 Slight copper hue 15.4 carat gold alloy. Bright and hard. Resembles freshly-polished copper 12 carat alloy – (48% gold, 52% copper). Bright and hard.Likely to tarnish. When plating on to stainless steel, nickel and its alloys, first plate a layer of 24 carat gold using Gold Flash. shifts the colour to the pink scale (4N). voltage will result in the solution becoming out of balance.